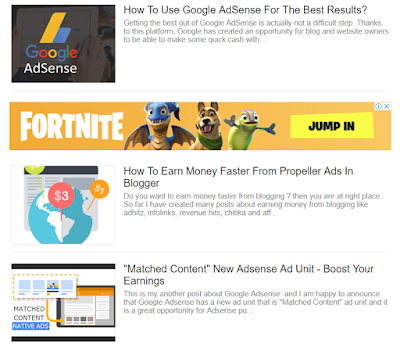 First of all I am going to tell you that you can not only place Adsense Ad by following this tutorial but any Ad can be added after first post, All you need is to replace the code with that code which you want to show. Before going to steps I am going to tell you some benefits and give you some suggestions about adding ad after first post. 1. It gives your blog a professional look. 2. It gives you an extra ad space. 3. It acts as an in-content ad so in your blog feed there are more chances of getting ad clicks. One thing that is a problem is that it doesn't work best for Grid view templates. Although if you know CSS you can make changes accordingly. I suggest you to use text ads in your feed or if your blog feed is like an image in the side and some text then you can use in-feed Adsense ads. You can also put multiple ads but keep in mind that more ads can slow your blog loading so use async ad units code. Also if you are using Adsense Auto Ads then you don't need to add ads after first post, Auto-ads will do it for you. 1. Login to Blogger and click on Theme/Template. 3. Find <b:include data='post' name='post'/> by clicking inside code and using CTRL+F to open theme's search box. 4. After finding the line <b:include data='post' name='post'/>, paste the following code below it. 5. Click on Save theme. Done, check your ad now! Now that you added ad after first post in Homepage in desktop site you have to do it for mobile site too if you are not using a responsive template in which mobile site is not separate. In case of blogger mobile site the code is same but the place where you need to add the code is different. So follow below steps to add it. Here I am skipping first two steps. 1. Find <b:include data='post' name='mobile-index-post'/> in your theme code. 2. Just after the line <b:include data='post' name='mobile-index-post'/>, paste the following code. 3. Save Theme and you are done. Similar to the above if you don't get gape between ad and posts then ad <br/> to make some gape. If you want to add ads other then adsense paste that ad code and ad will show up. Also I you wish to put a featured post you can put it there. I hope you found this post helpful. If you have any suggestions leave a comment. If you like this blog kindly share our posts. If you have any post request kindly leave a comment or contact us. 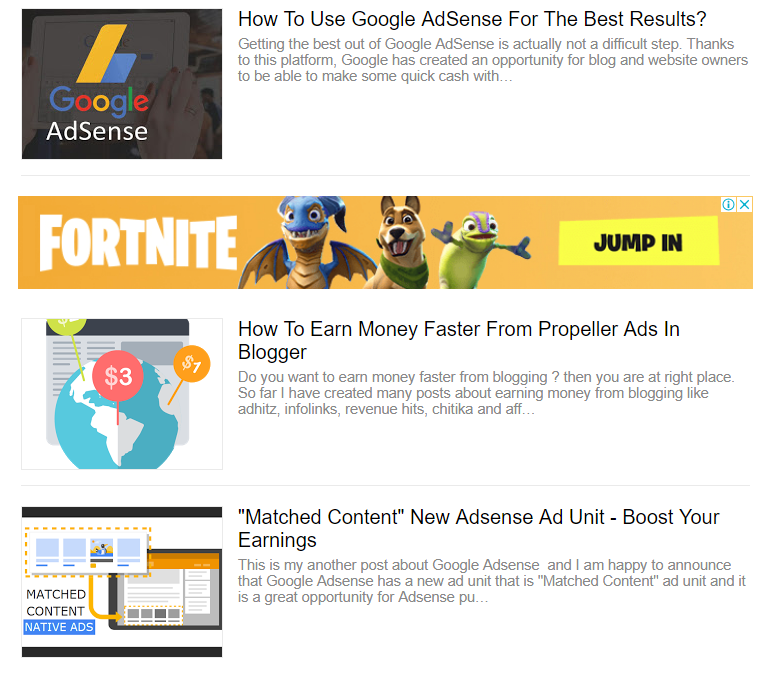 Search tags: Show Google Adsense after the first post on Blogger home page, How to show Google Adsense after the first post on Blogger home page, how to show ads after post footer,header.